Each bottle in the sale comes directly from the late Henri Jayer's home in Vosne-Romanée. Henri Jayer, who died in 2006, was an important influence in Burgundy. The consummate vigneron, he worked his vineyards for 62 years, crafting pure, scintillating Burgundies from eight different Pinot Noir parcels totaling 16 acres. 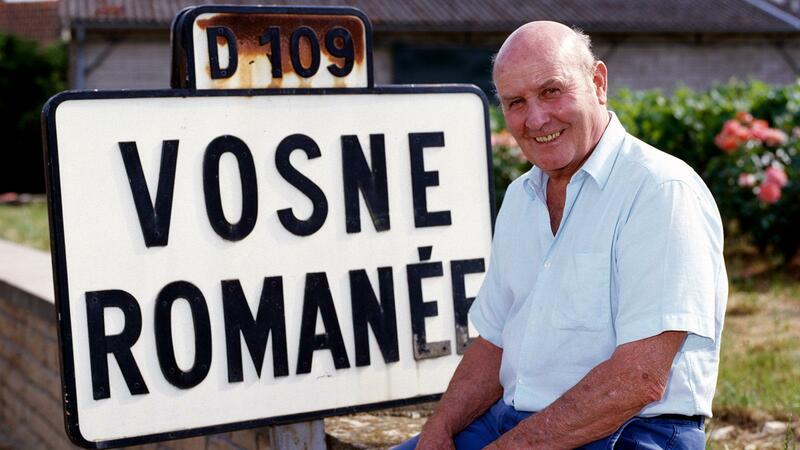 His wines remain some of Burgundy's most highly sought-after. Jayer honed his métier over the decades, rejecting fertilizers, reducing yields and mixing tradition with new techniques like beginning with a prefermentation cold maceration prior to long alcoholic fermentations using indigenous yeasts. He created a style of Burgundy emulated by many and, along the way, mentored a whole generation of budding Burgundy vintners. He became famous for his bottlings from Vosne-Romanée Cros Parantoux, a 2.5-acre premier cru climat adjacent to grand cru Richebourg that he began acquiring and replanting in the 1950s. Jayer eventually owned about three-quarters of Cros Parantoux, but also farmed the remaining parcel that belonged to Méo-Camuzet. It was Cros Parantoux that made him famous among collectors in the United States, through his longtime importer, Martine Saunier. In addition to Cros Parantoux and Richebourg, Jayer made wines from Echézeaux, Vosne-Romanée Beaumonts, Vosne-Romanée Les Brûlées, Nuits-St.-Georges Les Meurgers, Nuits-St.-George and Vosne-Romanée. On June 17, the remaining bottles from Jayer's personal cellar are going on the auction block in Geneva, Switzerland. There are a total of 855 bottles (750ml) and 209 magnums, from vintages 1970 to 2001, the year he retired. Baghera Wines, a small, Geneva-based auction house, will conduct the sale. Blue-chip Burgundy is already a hot auction item. What is remarkable about this sale is the provenance. The collection had never left Jayer's personal cellar in the house he resided in in Vosne-Romanée until they were just recently moved to Geneva. These are the last bottles, consigned to Baghera by Jayer's daughters, Lydie and Dominique. The wines were finished with capsules and labels under their supervision, along with Jayer's nephew, Emmanuel Rouget, who assumed control of the domaine's parcels after Jayer retired. I spoke with Baghera's executive director Michael Ganne about the collection. Ganne founded Baghera Wines in 2015, after working 10 years as head of Continental Europe for Christie's Wine. "I've known the daughters for a long time and knew about the bottles in the cellar," he said. "It took them a long time to decide to sell. When they finally did, they called and offered to sell the collection through us." Another advantage to having the sale in Geneva is its proximity to Burgundy. It's only three hours away, so the wines have barely moved. A sale in Hong Kong or New York would involve shipping across much greater distances. The highlight of the collection is Cros Parantoux. There are two magnums from 1978, the vintage Jayer considers his finest; a magnum and 18 bottles of 1985; two magnums and 24 bottles of 1989; six magnums and 60 bottles of 1999; and a vertical of 15 magnums from 1978 to 2001. Echézeaux is also well-represented, with magnums and bottles from '76, '85, '90 and '99. Unfortunately, the Richebourg seems to have been a family favorite; there are only a few bottles and magnums remaining. In February 2018, Baghera arranged transport of the collection to Geneva under the supervision of a sworn bailiff, after the labels and capsule were applied. During the process, there were lunches with sandwiches and bottles of wine from Emmanuel Rouget and Jayer. "Everybody that helped us enjoyed these moments; there was a lot of laughing and memories," recalled Ganne. "When the truck finally left, his daughters had tears in their eyes."